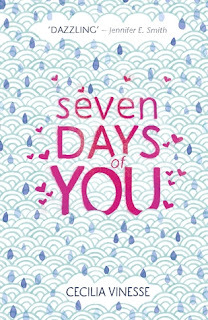 Seven Days of You is one of those that I found myself completely absorbed in and unable to put down. I loved every page and didn't want it to end. I loved this book for several reasons. Firstly I adored the setting. I loved seeing Tokyo through Sophia's eyes and exploring it with her and it's made me intrigued enough to want to visit myself much like Anna and the French Kiss left me wanting a Paris adventure. I loved the main character and her friend group mostly because I thought the teen voices in the book were spot on in how they acted and reacted to situations in such teenaged ways. 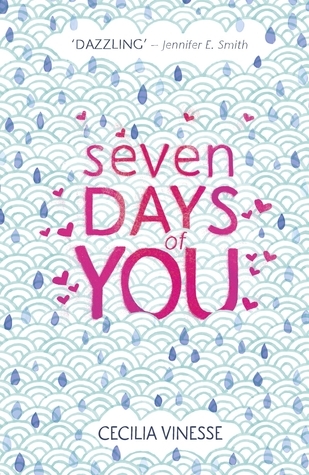 I also loved the romance element to the story and seeing the intense way it developed over the real time of the course of the book especially because you knew from the outset it was going to end up bittersweet at best.